CALGARY, Oct. 31, 2016 /CNW/ - The Alberta Securities Commission (ASC) announced today that it has adopted Multilateral Instrument 45-108 Crowdfunding (MI 45-108). The new rule is available immediately and introduces a crowdfunding prospectus exemption for issuers as well as a registration framework for funding portals. The implementation of MI 45-108 follows the recent adoption of ASC Rule 45-517 Prospectus Exemption for Start-up Businesses (ASC Rule 45-517), which was introduced to help facilitate Alberta-based small or start-up issuers seeking to raise modest amounts of capital from Alberta investors. MI 45-108 is viewed to be complementary with ASC Rule 45-517 and is designed to accommodate moderate financings being raised strictly through an online funding portal across multiple jurisdictions in Canada. "Small and medium-sized businesses have unique needs and often limited resources. 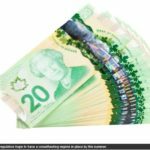 We believe that the introduction of these rules creates an attractive financing platform for these companies to raise funds locally and across Canada, while at the same time providing an appropriate level of investor protection," said Stan Magidson, Chair and Chief Executive Officer of the ASC. The key elements of the two regimes are outlined briefly below. Details on ASC Rule 45-517 and MI 45-108 can be found on the ASC website at www.albertasecurities.com. The ASC is the regulatory agency responsible for administering the province's securities laws. It is entrusted with fostering a fair and efficient capital market in Alberta and with protecting investors. As a member of the Canadian Securities Administrators, the ASC works to improve, coordinate and harmonize the regulation of Canada's capital markets. The National Crowdfunding Association of Canada (NCFA Canada) is a cross-Canada non-profit actively engaged with both social and investment crowdfunding stakeholders across the country. NCFA Canada provides education, research, leadership, support and networking opportunities to over 1300+ members and works closely with industry, government, academia, community and eco-system partners and affiliates to create a strong and vibrant crowdfunding industry in Canada. Learn more at ncfacanada.org.